Some of the best land available in Southeast Missouri. 400 acres with road access. This parcel of land has been held privately by a family for over 60 years and has several areas where small lakes could be built, as well as numerous spots for food plots. It currently has one pond for deer and turkey. 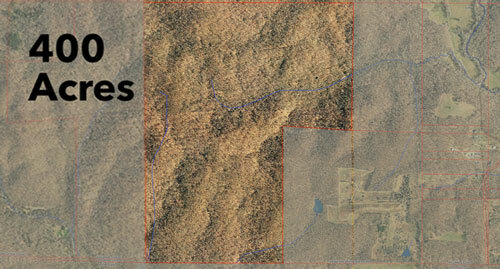 The timber on the property was last harvested in 2001.
or by phone at (573)238-7769. Click here to see the specific layout of the land, its location, some pictures and other details. Ready to take the next step? Click here to download the spec sheet on the land or click here to see more about contacting the seller.